About three years ago, Bas walked into our brewery. He wanted to know why he would have to pour our beer at his bar. He had just bought that bar, kind of accidentally actually. Bas got drunk in the café next to the house he just moved into. He promised the elderly lady that ran it that he would buy it. The fact that Bas did have money nor experience did not break the deal and after a couple of weeks and a make-over the café was called Bar Joost. Also lacking at first: knowledge of beer. Luckily, the upstairs neighbour knew one of the Oedipus brewers, who brought beer and advice on what else to pour. Before they knew it, Bar Joost was specialized in Amsterdam brews. “It was never a conscious choice or concept”, says Bas, “we just grew ever more enthusiastic about the local beers.” As a result, breweries like Bruut and others increasingly opt for Joost as a great location to launch a new beer. Yet, people do not necessarily flock to Joost for the great beer, that they will eventually end up drinking anyway. It must be the mix of that spontaneous feel, the free meat balls on Friday afternoon, the record player at the bar. 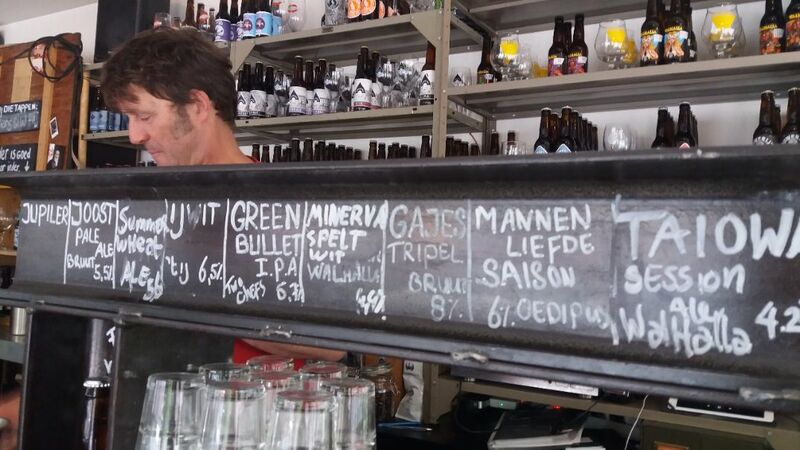 Local brewers love to see their beer being enjoyed in such a laidback atmosphere and regularly hang out at Joost too. So do we. 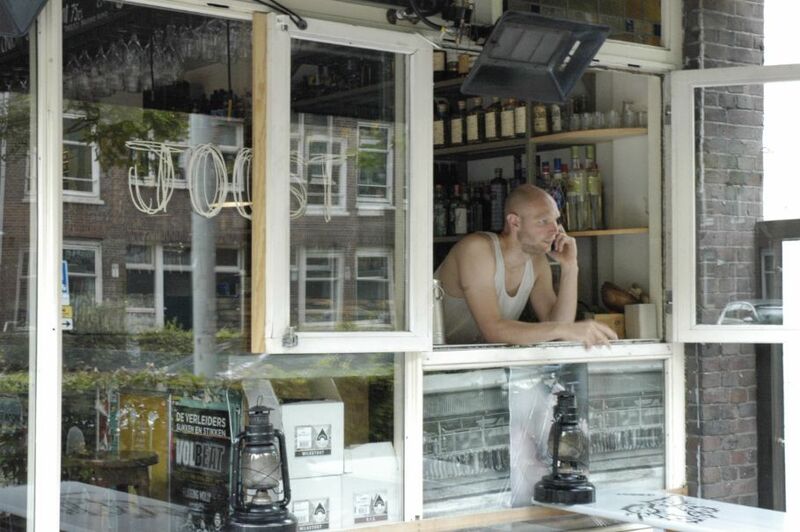 Brewers, bartenders, office folks, bottle boys, they all find their way to Bar Joost. Truth be told: it is dangerously close to our breweries.